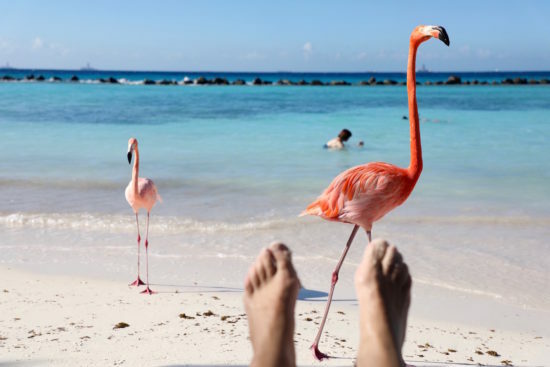 In Aruba, you will especially enjoy the beautiful weather, the powder white beaches, and azure sea. 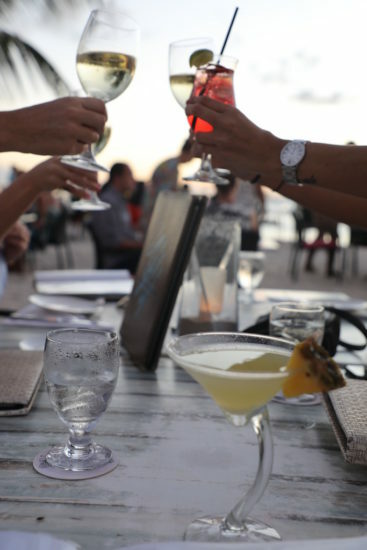 What’s a holiday without good food and drinks? Fortunately, there are excellent ‘one happy island’ restaurants everywhere. Pure! 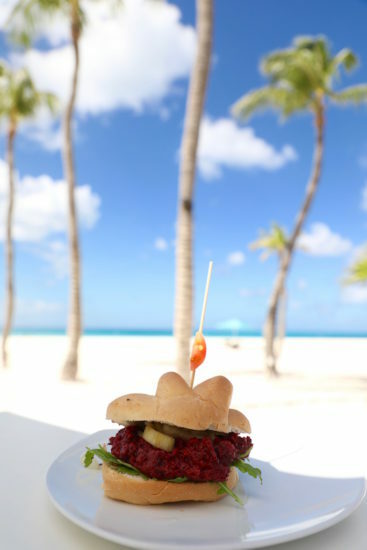 Food & Travel brings you 10x tasty Aruba restaurants. 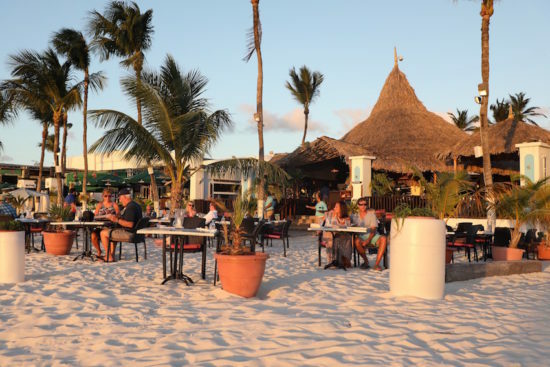 10x tips of the best restaurants in Aruba in a row. 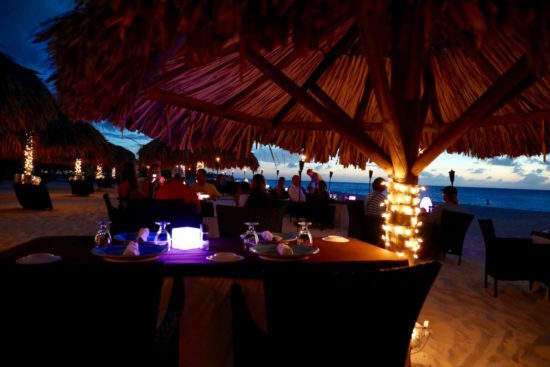 From an excellent espresso coffee shop to a romantic dinner on the beach. The veggie burger and the vegan BBQ are pure favourites! 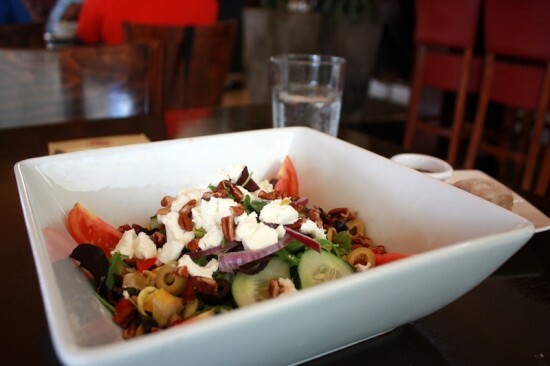 Create your own salad with a choice of basic ingredients, proteins, and toppings. They also serve delicious healthy smoothies at Garden Fresh Café. On the terrace, with sea view at The West Deck, we see a huge cruise ship of the Holland America Line, probably on its way to another Caribbean island. Food to share is the best option here. 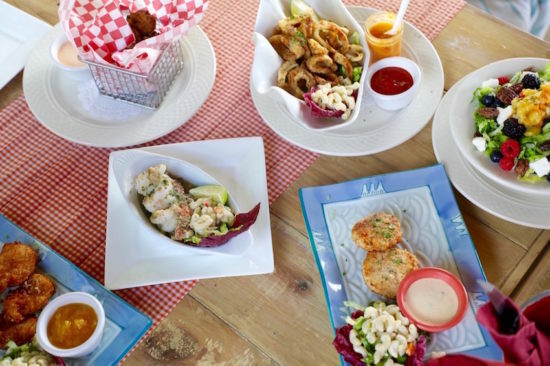 You can share Caribbean tapas appetizers, including Salad, ceviche of spicy shrimp and white fish, fish cakes, and more goodies. Fine lunch tip with relaxed atmosphere! Barefoot is a lovely beach restaurant. The best place to be in Aruba is the beach! 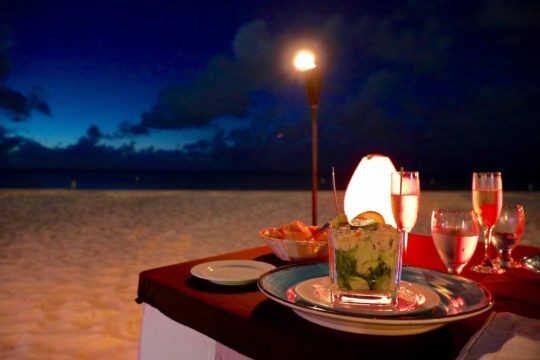 Yes… with your feet in the sand, enjoying a perfectly catered dinner at sunset. Try the flirtini cocktail with bubbles! Do you know that you can crave for a really good coffee while you’re travelling? 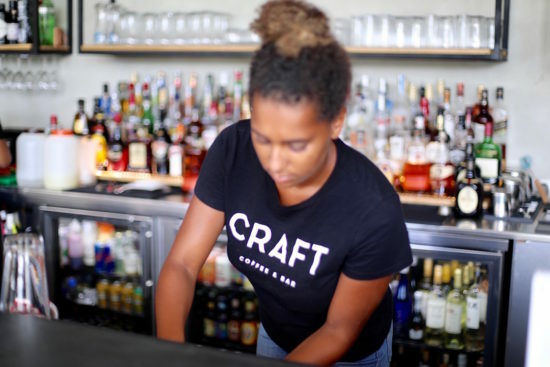 In Aruba, you have to be at Craft. As far as I could find out, they serve the best espresso on the island. The cocktails seem to be quite good too. 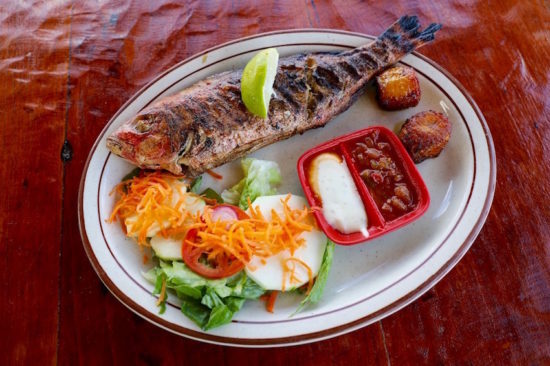 Looking for good food in Oranjestad? Visit Yemanja. It is known for its healthy cuisine. I go for the vegan charcoal grill with a spicy Creole sauce, but I ask them to prepare it a bit less spicy. The peanut sauce is divine. All ingredients are biologically as much as possible according to the waiter. Unfortunately, the chef was not there that night, so I couldn’t ask for detailed information. I’d like to come back here next time! Time to cool off after a tough tour by jeep in the north of the island. That is not a punishment in this laid-back eatery with a wide selection of frozen specials. 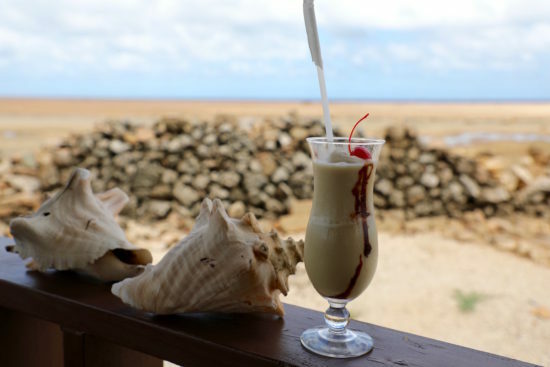 I tasted the dirty colada, an icy drink with coconut cream and Kahlua. Fair is fair, the fish of the day, red snapper, didn’t look very special, but it was very tasty! Delicious hearty meat and grilled with a crispy crust. 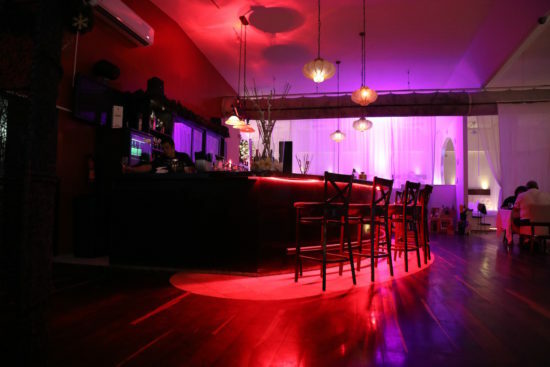 Restaurant and bar Boca Prins are named after a beautiful nearby beach with huge waves. You can paddle in the beach, but swimming can be dangerous due to strong currents. Charlie’s opened its doors 75 years ago. Inside, I did not get bored with all the ornaments and trinkets. Tony, the brother of Charlie, said, “The steamed shrimps are favourites here. We always have a veggie special.” Charlie’s only opens during the day, but what stops you from enjoying your day with a mojito? You’re on one happy island. 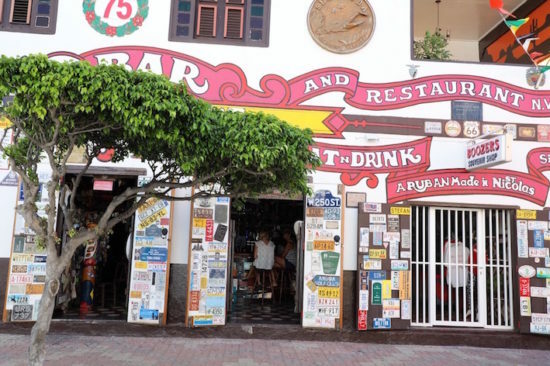 The oldest bar in Aruba can be found in San Nicolas. San Nicolas, after the capital, Oranjestad, is the second largest city of the Caribbean island. In the picture you see Paula, my enthusiastic guide, and the organizer of this press trip. 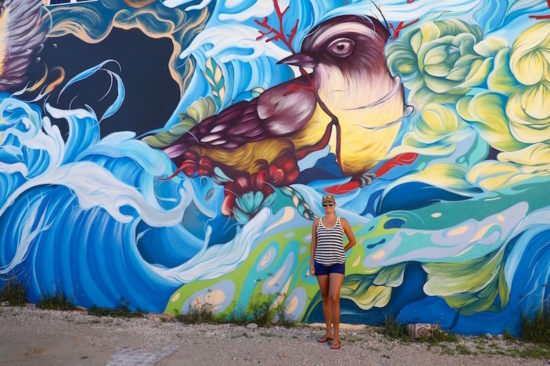 We walked through San Nicolas where all the street arts exude a hip and artistic atmosphere. The annual Aruba Art Fair recently took place. Wow! Again a wonderful place for a romantic dinner. 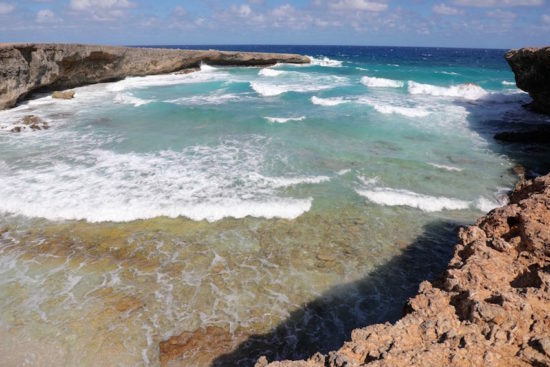 Perhaps, the most beautiful beach in Aruba is the Eagle Beach. The food, in one word, can be described as delightful! “Vegetables such as tomatoes, cucumbers, lettuce, and mushrooms are grown on the island with hydroponics,” said the Dutch owner-manager, Jurgen van Schaijk from the Amsterdam Manor Beach Resort, where Passions on the Beach belongs to. Jurgen tries to be as sustainable as possible. His hotel was established 15 years ago, the first that was EarthCheck certified. He has numerous technical issues decorated as environmentally efficient. There are water efficient showers, toilets, compact fluorescent lamps are replaced by more fuel-efficient LED lights, and the buildings are insulated. He is always looking for ways to make the place even greener. 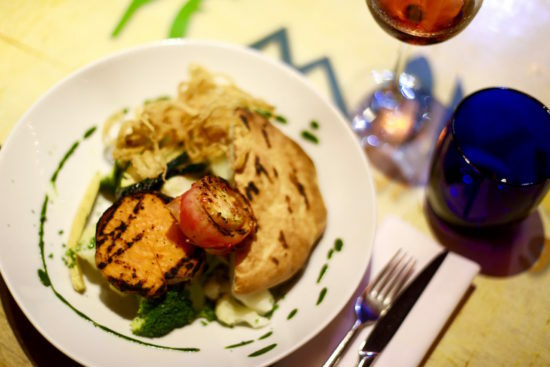 Chef Oliver at Elements Restaurant said that about 60% of the menu is made from organic ingredients. The savoury filling of my veggie burger is made from beetroot. And the view? That makes it totally zen. Wow! What a colourful and warm entrance at Screaming Eagle Restaurant. Pinot grigio is exquisite. 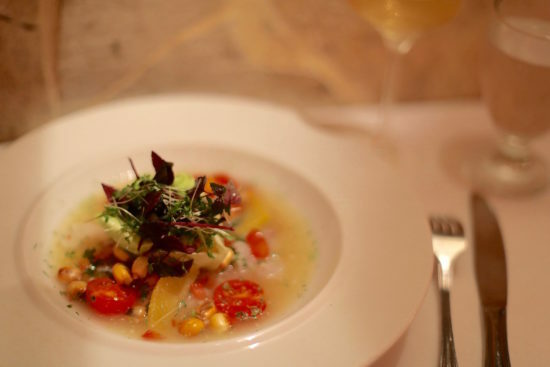 Unfortunately, the ceviche is a bit too acidic to my taste, with too much lime. Maybe I had too high expectations of the restaurant because they were voted the best restaurant in the Caribbean in 2015. Hi Jeannette – great list of restaurants. 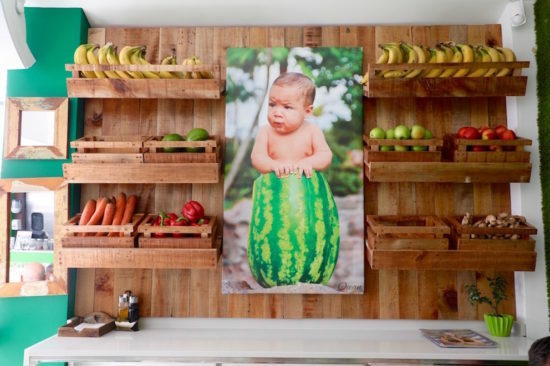 I also like the pictures, kind of made me hungry! Do you live in Aruba? Thanks Angelo. The weather would be better if I was living in Aruba. I’m in the Netherlands.